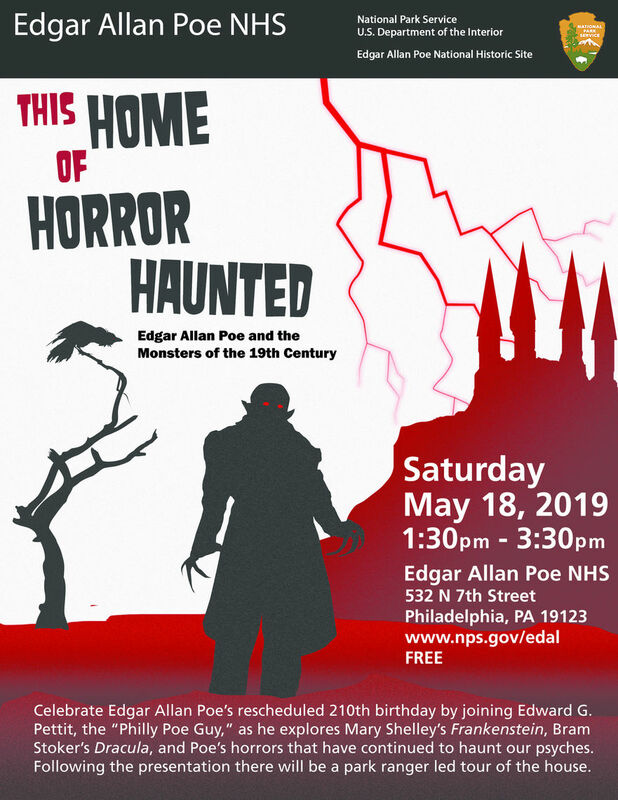 Celebrate Edgar Allan Poe’s rescheduled 210th birthday by joining Edward G. Pettit the “Philly Poe Guy” as he explores Mary Shelley’s Frankenstein, Bram Stoker’s Dracula, and Poe’s horrors that have continued to haunt our psyches. Following Pettit’s presentation, there will be a Ranger led tour of Poe’s house. Presentation and Tour is free. Visit www.nps.gov/edal for more information.